This water-activated, foaming gel cleanser conditions while it cleanses. 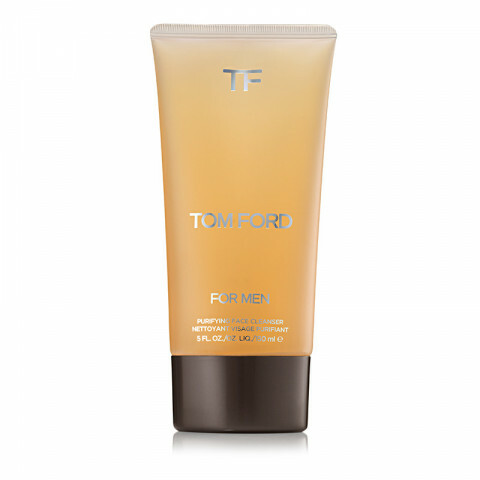 It features the Tom Ford Purifying and Skin Calming Complexes to leave skin exceptionally clean without tightness or dryness. Its lightweight formula conditions and hydrates the skin as it unclogs pores and prepares skin for a smooth shave. It rinses beautifully without drying, so the face looks and feels smooth, refreshed and energized. The TOM FORD PURIFYING COMPLEX helps to free the skin of dulling and damaging toxins by using plant extracts to promote purification and reduce irritating environmental pollutants. The TOM FORD SKIN CALMING COMPLEX helps to minimize skin irritation and redness and create a barrier to defend skin against the visible effects of pollution and toxic stressors. Takes of even stubborn eye makeup. No need for a separate cleanser. It cleanses great and my skin feels fresh without stripping my skin.